Home > Bunnies By The Bay-Tadbit's "Bug A Bye"
This soft security blankie has a removable wee comforting friend tucked in the pocket. Just the right size for a wee one. 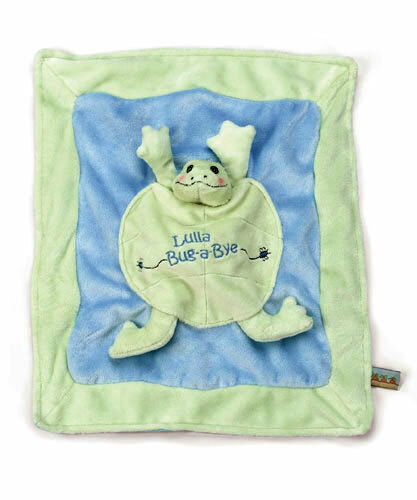 ¡§Lulla Bug-a-Bye¡¨ embroidery. Machine wash & dry. Size: 12"x14"